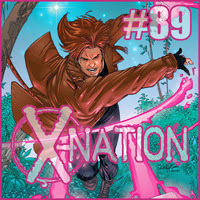 In this Days of X-Men Past installment of X-Nation, Elizabeth and Paul wrap up the end of an era with a look at Grant Morrison's last issue of New X-Men. Plus, they discuss seven more "classic" issues from the last decade. Days of X-Men Past - X-Treme X-Men #43, X-Treme X-Men #44, Emma Frost #9, Mystique #12, New Mutants #12, New X-Men #154, Uncanny X-Men #441, and Uncanny X-Men #442.